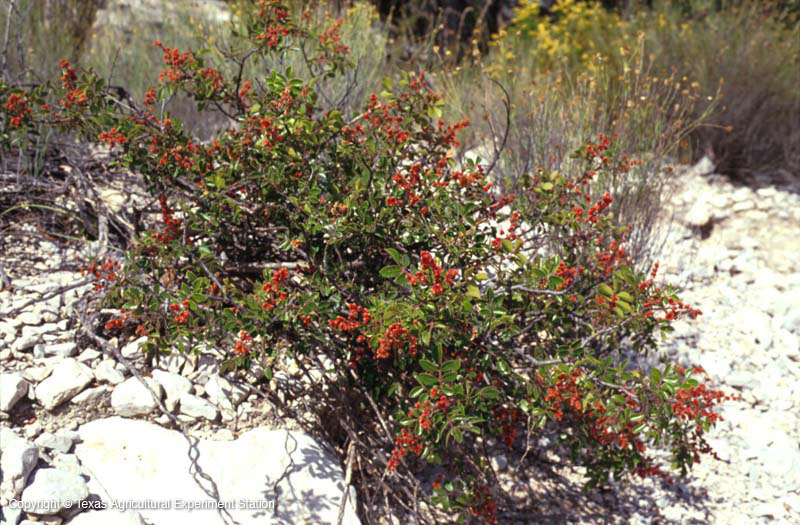 Evergreen sumac grows on dry hillsides and rocky bluffs and slopes of the Edwards Plateau and the Trans-Pecos at elevations of 2000 to 7500 feet. It also grows in Mexico and New Mexico. This very ornamental sumac has lustrous, leathery dark green compound leaves which may be tinged with maroon or yellow in cold weather. New leaves are pinkish. In full sun it forms large, dense rounded clumps and takes well to hedging. 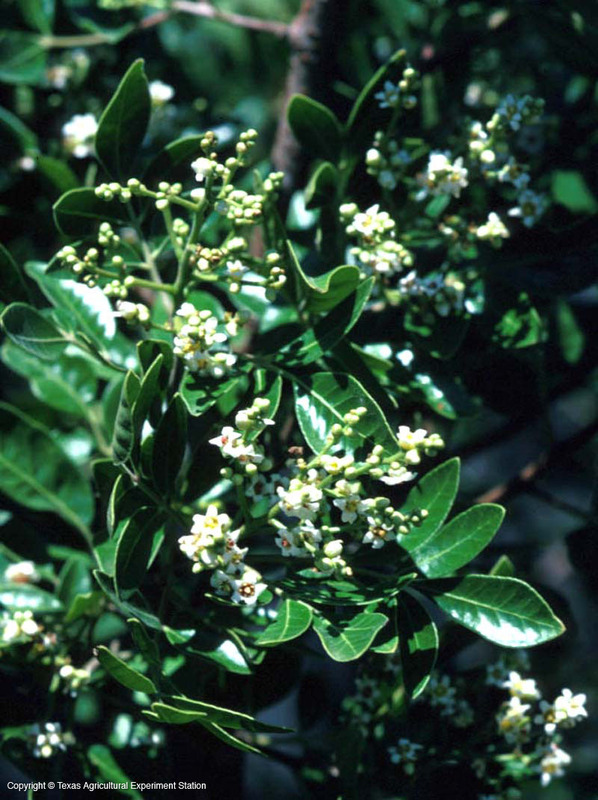 In shadier sites this plant will be more open and tree-like, and may be pruned to a graceful small tree. It is useful as a screen or background for other plants. 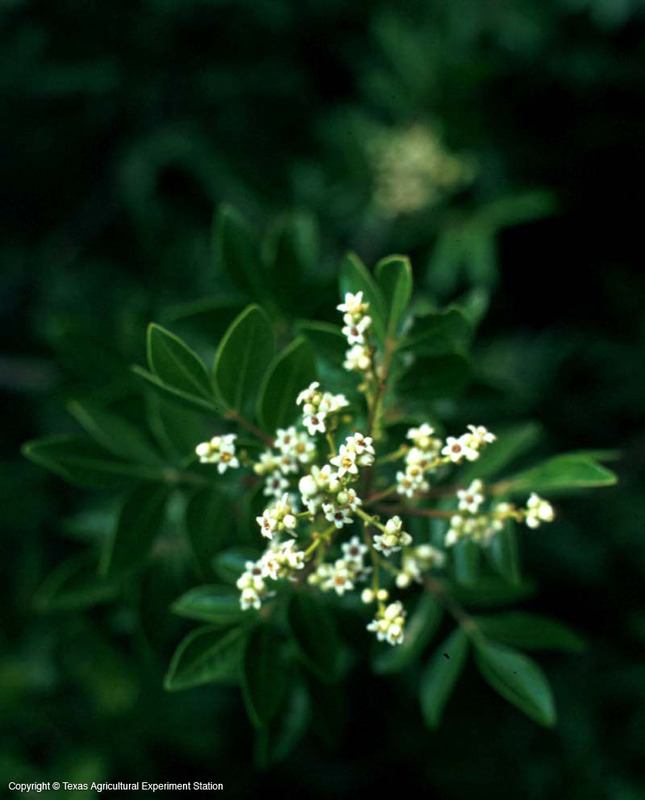 In late summer and fall the creamy white flowers, which smell like honey, attract bees and butterflies. 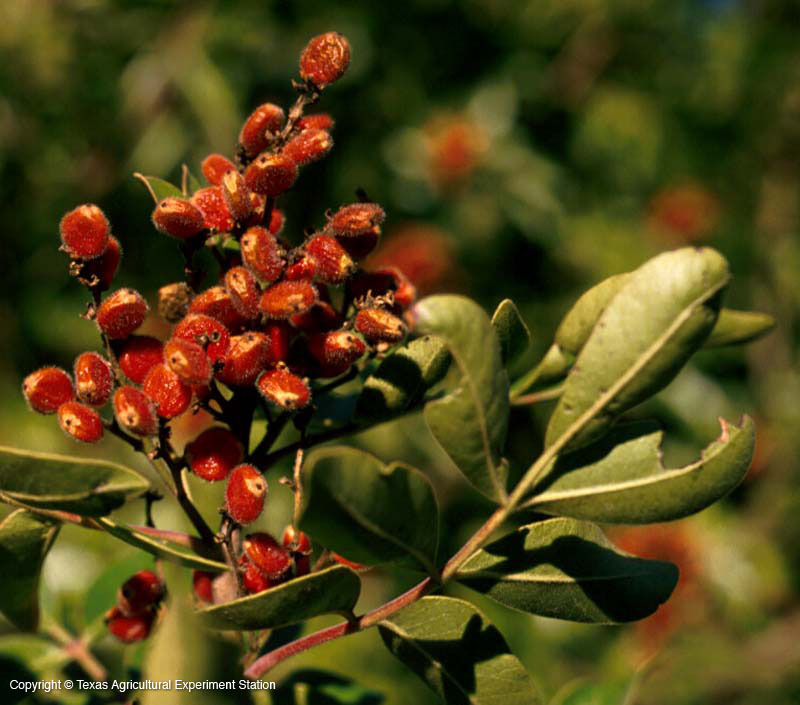 Evergreen sumac produces red fuzzy fruit which is relished by birds and small mammals and was once used to make a refreshing drink. 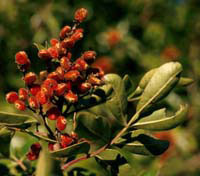 The Comanche Indians mixed its sun-cured leaves with tobacco for smoking, and it was also used as a remedy for asthma. Deer are known to browse young plants.